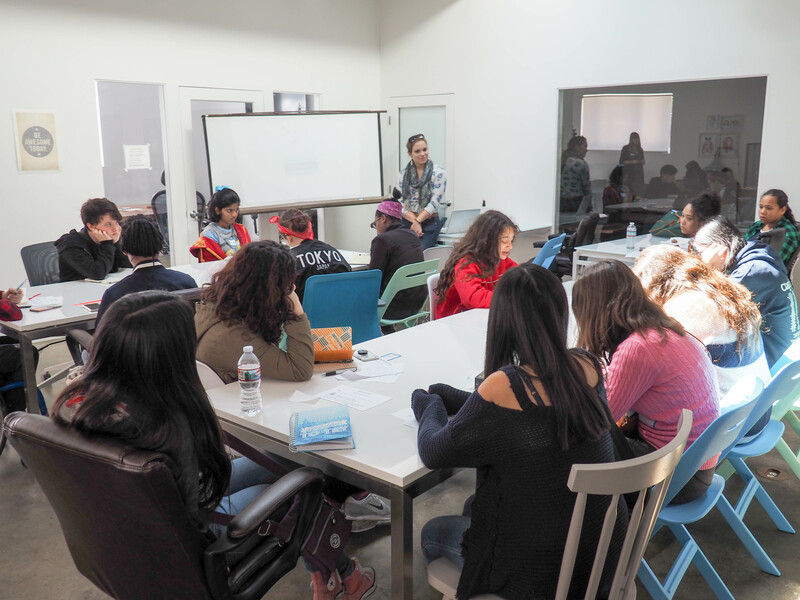 In 2017, Exposition Review had the pleasure of hosting our first seminar and interactive workshop for WriteGirl at The Hatchery. WriteGirl is a fantastic Los Angeles-based non-profit dedicated to mentoring young women and developing their creative writing skills as they progress through junior high and high school, while The Hatchery is a unique co-working space and community of writers in the Larchmont area. With the success of last year’s workshop–which resulted in the publication of pieces by WriteGirls Vivian Enriquez and Angela He in our “Surface” issue–we were looking forward to once again collaborating with WriteGirl and The Hatchery, but we couldn’t resist expanding our youth-centered #ExpoPresents to another creative writing non-profit: 826LA. This amazing organization provides free programs, including mentoring, workshops, tutoring, and more, to over 9,000 students in the LA area. It’s the end of the year, and we know all that extra money you’ve made from your hundreds of publications in lit journals is burning a hole in your pocket. We have just the place for you to spend it. Pay it forward by giving to these awesome Los Angeles literary nonprofits, just in time for #GivingTuesday.